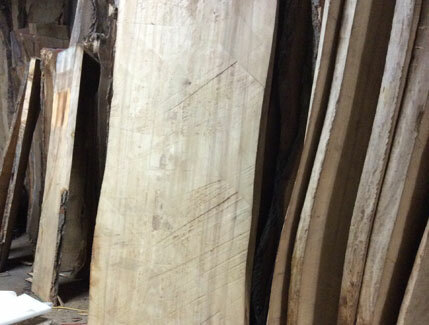 The Wood Commission carries an extensive inventory of Kiln Dried Slabs of different species & sizes that are ready for use. 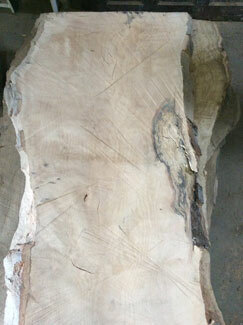 These can be slabs (with grain from a tree) or a Cookie (cross cut from a tree). 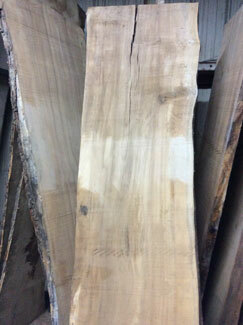 They are from Local Trees in Toronto that were permit removed. 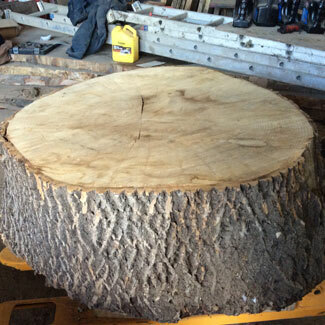 We can flatten and sand the piece you choose and you can do the finishing if you like. We also sell 100% finished products with various bases both Wood & Steel.